Macedonian society is not always open to debate in the public discourse, whether it be on policies, values or fact. This is one of the reasons why the Youth Educational Forum (YEF) was founded, and why it promotes debate and critical thinking skills with considerable success among university and high school students across the country. Reaching out to the adult population has proven harder, and that is why YEF started the annual event Argument: Organised Expression in 2010. Other public debates have been rare and were often plagued with lack of media exposure and participation, misinformation and baseless accusations. YEF sees the lack of quality debates as a significant threat to informed policy decisions and opinion-formation by citizens. Argument therefore attempts to improve the culture of dialogue and the structure of speaking in the public discourse, as well as to promote argumentation as a necessary condition for a productive discussion. The event provides a venue where all well-argued opinions are held as equal, where the speakers are given enough time to present their stances and the audience can interact with them freely, and draw its own conclusions on the motions which are being discussed. 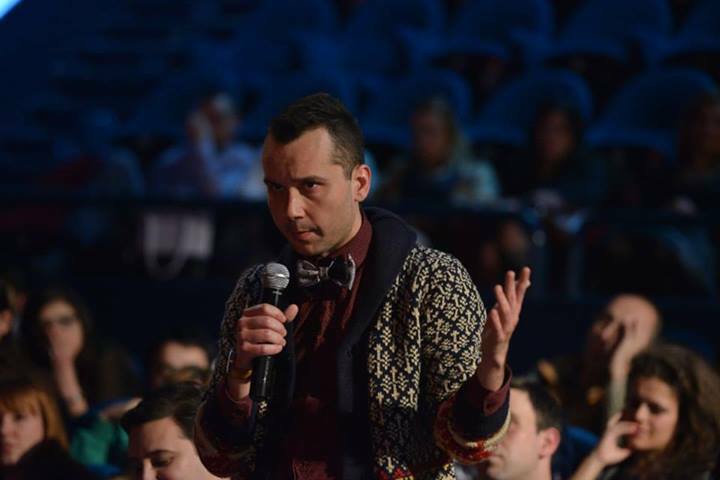 The 2013 edition of Argument took place in the Skopje Opera and Ballet House on the 21st of December. Six Macedonian politicians, professors, political and human rights activists debated on the motion “This house would not vote in elections” divided in two equal teams. Each speaker had six minutes to present their case. The audience of 284 guests had two chances to interact with the speakers: after the two second speakers of each team and after the concluding speeches. The goal of the organisers had been to debate the fundamentals of Macedonian politics: the function of elections in democracy, the electoral system and party system, voter motivations and how well parties match voters’ expectations and beliefs. While the debate did not end up as interesting as that, because the speakers relied more on standard political rhetoric, the audience was able to ask interesting questions about the current political situation and criticise party policies or politicians personal conduct. The event received extensive media coverage, check these pictures for some impressions. “Argument: Organised Expression” was organised as part of the project idebateEU. This is a cooperation project of IDEA Amsterdam, IDEA London and ten IDEA members from all across Europe. The project aims to improve cooperation between IDEA and its members and between members, sharing debate methodologies and organisational knowledge in the framework of common activities on European topics. The project is made possible with support of the Europe for Citizens Programme of the European Commission.